LOW MILES! THERMO-KING APU! LOADED UP! 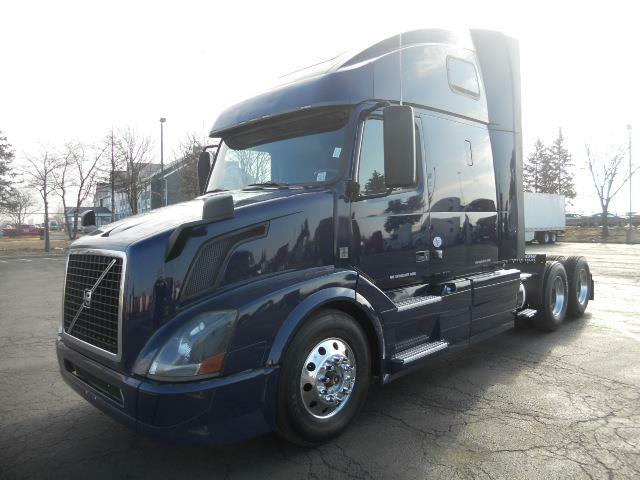 Gorgeous Navy Blue 2016 Volvo VNL670 w/ low miles & APU!This low mile Volvo 670 is fleet maintained & LOADED! * Thermo-King Tripac APU saves you $$ & keeps you comfy! * Volvo VED13 engine paired w/ Fuller 10 speed trans. * Sharp Navy blue metallic paint, skirts & alum wheels! * Huge curb appeal - these trucks sell FAST & are CLEAN! * D.O.T ready, PM serviced & professionally detailed too! * Easy "IN-HOUSE" Financing and we find credit for ALL! * 90 Day Confidence+ Power-train warranty included! * Extended warranty avail w/ DPF/Aftertreatment coverage! * 24/7 Roadside assitance is also available to you. * Please stop by or call in for the best experience ever!